This digital document is an article from Community College Week, published by Cox, Matthews & Associates on May 27, 2002. The length of the article is 6615 words. The page length shown above is based on a typical 300-word page. The article is delivered in HTML format and is available in your Amazon.com Digital Locker immediately after purchase. You can view it with any web browser. This small but powerful book will inspire all educators who seek an elusive dream: to create schools that function more productively and humanely for children and adults. Throughout this unique book, you will recognize challenges that you too are facing. You’ll also see challenges that lie ahead of you and, as a result, will be better prepared to handle them when the time comes. 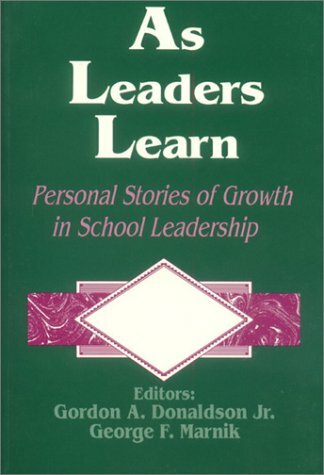 Designed as a companion to Becoming Better Leaders, every page of this book is a sobering yet compelling lesson in educational leadership.